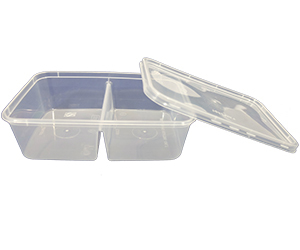 650ml Divided Rectangular Compartment Container & Lids, with two areas that are sealed from each other. Additionally the takeaway containers are tough and microwave-safe. 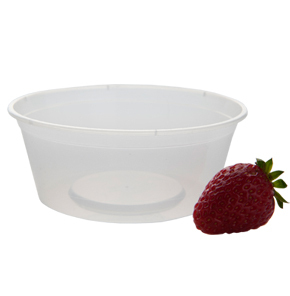 They have secure plastic lids to prevent spillages (Plastic Lids Included). 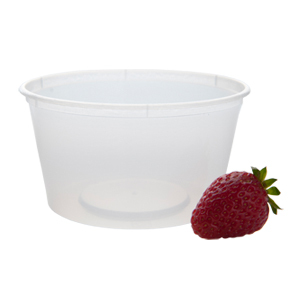 The containers are perfect for take away orders and prepping for storing food. 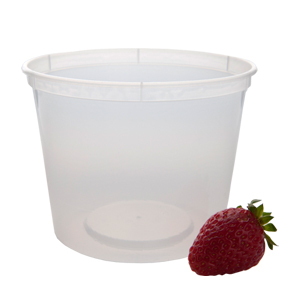 Made from 100 percent virgin food grade polypropylene (PP). Microwave safe and is recyclable.